Vikram and Gautham Menon’s Dhruva Natchathiram is getting ready at a steady pace, with shoot planned in 4 different countries namely Bulgaria, Slovenia, Abu Dhabi and Turkey within a 22 day schedule.The shoot is said to involve 12 important actors and there are also international stunt coordinators. The latest surprise news we hear from our close sources is about the star cast of Dhruva Natchathiram. Apart from Vikram and Parthiban, it is said that veteran actress Raadhika, Simran are a part of the casting. Besides Raadhika and Simran, other actors like Sathish, Vamsi, DD and Maya are also touted to be a part of this 12 member cast who will be shooting in this schedule. 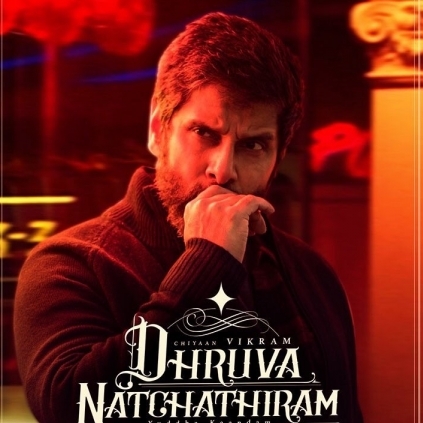 This bombastic casting seems super interesting and with Vikram’s suave look and characterization, Dhruva Natchathiram seems to have an enhanced international flavour. When it’s a Gautham Menon film, we can expect some really exotic locations as well. Sources add that, some of the locations that Gautham has handpicked for Chiyaan Vikram and the team will be seen for the first time in South Indian films. People looking for online information on DN, GVM, Raadhika, Simran, Vikram will find this news story useful.